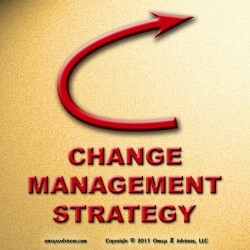 Setting the mood – by talking about change before we announce it – is a change management tactic. Behind this though is a strategic backdrop emphasizing keywords. The most public examples of this strategy occur in politics. Prior to the 1994 capture of United States Congress, Newt Gingrich as House Minority Whip introduced the strategy of distributing keywords and talking points that his team was to emphasize in public interviews. Today, both parties have formalized the process so it’s very noticeable as we surf Sunday talk shows. They are effective as it’s not uncommon to hear friends and colleagues emphasize these same words and phrases in political discussions. A Daily Show segment from September 4, 2012 humorously highlights a before and after use of this strategy at the Democratic National Convention. Just the prior week, Republicans at their national convention emphasized this question: Are you better off today than four years ago? So, the press posed this to Democrats. Initially, as the video shows, they stumbled and had scattered responses. By the next day though, they responded uniformly. Translating this to business, once we consolidate the 5% we determine the keywords of our change initiative for them to emphasize. This includes naming the change initiative. 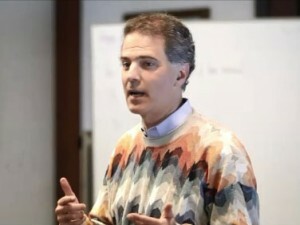 For example, if we emphasize changes to help departments work better together, we might use words such as “integration,” “seamless” and “holistic.” If they involve laying groundwork for the future, we might emphasize “legacy,” “foundation,” and “emergence.” In the end, we would have the name of the change along with about a dozen keywords supporting its discussion. This becomes an anchoring process priming our people for change. The more they think about it, the more comfortable and accepting they become with it. We can’t paint our change until we prep the mental surface.